Today we're rolling out an update to the Android 7.1 Developer Preview -- the last before we release the final Android 7.1.1 platform to the ecosystem. Android 7.1.1 includes the developer features already available on Pixel and Pixel XL devices and adds optimizations and bug fixes on top of the base Android 7.1 platform. With Developer Preview 2, you can make sure your apps are ready for Android 7.1.1 and the consumers that will soon be running it on their devices. As highlighted in October, we're also expanding the range of devices that can receive this Developer Preview update to Nexus 5X, Nexus 6P, Nexus 9, and Pixel C.
If you have a supported device that's enrolled in the Android Beta Program, you'll receive an update to Developer Preview 2 over the coming week. If you haven't enrolled your device yet, just visit the site to enroll your device and get the update. In early December, we'll roll out Android 7.1.1 to the full lineup of supported devices as well as Pixel and Pixel XL devices. 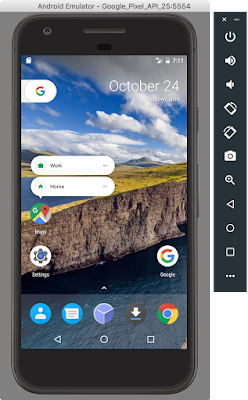 Developer Preview 2 is a release candidate for Android 7.1.1 that you can use to complete your app development and testing in preparation for the upcoming final release. In includes near-final system behaviors and UI, along with the latest bug fixes and optimizations across the system and Google apps. It also includes the developer features and APIs (API level 25) already introduced in Developer Preview 1. If you haven't explored the developer features, you'll want to take a look at app shortcuts, round icon resources, and image keyboard support, among others -- you can see the full list of developer features here. With Developer Preview 2, we're also updating the SDK build and platform tools in Android Studio, the Android 7.1.1 platform, and the API Level 25 emulator system images. The latest version of the support library (25.0.1) is also available for you to add image keyboard support, bottom navigation, and other features for devices running API Level 25 or earlier. Now is the time to optimize your apps to look their best on Android 7.1.1. To get started, update to Android Studio 2.2.2 and then download the API Level 25 platform, emulator system images, and tools through the SDK Manager in Android Studio. After installing the API Level 25 SDK, you can update your project's compileSdkVersion to 25 to build and test against the new APIs. If you're doing compatibility testing, we recommend updating your app's targetSdkVersion to 25 to test your app with compatibility behaviors disabled. For details on how to set up your app with the API Level 25 SDK, see Set up the Preview. 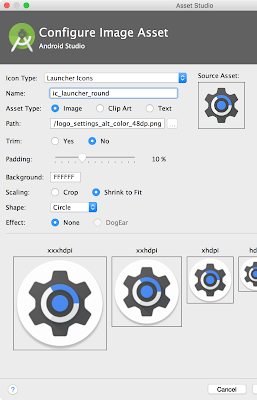 If you're adding app shortcuts or circular launcher icons to your app, you can use Android Studio's built-in Image Asset Studio to quickly help you create icons of different sizes that meet the material design guidelines. You can test your round icons on the Google APIs emulator for API Level 25, which includes support for round icons and the new Google Pixel Launcher. Android Studio and the Google APIs emulator let you quickly create and test your round icon assets. If you're adding image keyboard support, you can use the Messenger and Google Keyboard apps included in the preview system images for testing as they include support for this new API. To help scale your testing, make sure to take advantage of Firebase Test Lab for Android and run your tests in the cloud at no charge during the preview period on all virtual devices including the Developer Preview 2 (API 25). You can use the automated crawler (Robo Test) to test your app without having to write any test scripts, or you can upload your own instrumentation (e.g. Espresso) tests. You can upload your tests here. After you've finished final testing, you can publish your updates compiled against, and optionally targeting, API 25 to Google Play. You can publish to your alpha, beta, or even production channels in the Google Play Developer Console. In this way, push your app updates to users whose devices are running Android 7.1, such as Pixel and Android Beta devices. If you have an eligible device that's already enrolled in the Android Beta Program, the device will get the Developer Preview 2 update over the coming week. No action is needed on your part. If you aren't yet enrolled in program, the easiest way to get started is by visiting android.com/beta and opt-in your eligible Android phone or tablet -- you'll soon receive this preview update over-the-air. As always, you can also download and flash this update manually. 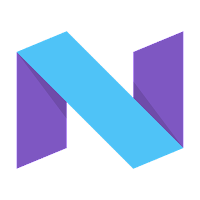 As mentioned above, this Developer Preview update is available for Nexus 5X, Nexus 6P, Nexus 9, and Pixel C devices. We're expecting to launch the final release of the Android 7.1.1 in just a few weeks Starting in December, we'll roll out Android 7.1.1 to the full lineup of supported preview devices, as well as the recently launched Pixel and Pixel XL devices. At that time, we'll also push the sources to AOSP, so our device manufacturer partners can bring this new platform update to consumers on their devices. Meanwhile, we continue to welcome your feedback in the Developer Preview issue tracker, N Preview Developer community, or Android Beta community as we work towards the final consumer release in December!